It’s time, another Nodds & Nends, some Nerdy Odds and Ends on the internets that will hopefully make your day a little brighter. Want to see some crazy things people have invented over the years? Check out this The Daily Buzz article, Wacky Inventions That Never Stood A Chance that was reposted by George Takei on his Facebook page. I really really need those skates. 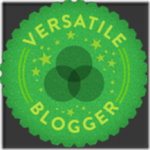 I really love reading the articles on The Book Wars blog. I was especially delighted with this list of children’s pictures books centered around the theme of dance that also have a diverse cast of characters. Read the article by Jane Whittingham Five Finds Lets Dance here. 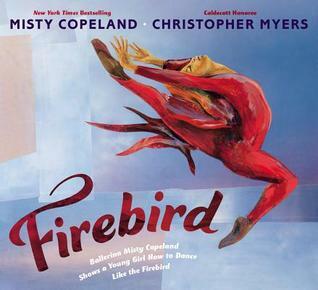 I follow Misty Copeland on Instagram and was delighted to see that there is a picture book about her journey to be come a soloist with the American Ballet Theater. Awesome! My most recent favorite find on the internets is the video about a guy who likes to respond to spam/scam emails until the spammer/scammer gives up and tells him to stop email them. Posted by Mashable this guy’s video about trying to get a toaster is hilarious! When I shared this on my personal Facebook page a friend replied with an newspaper article from the Boston Globe that is along the same lines, The Spam Victim Strikes Back! By Mark Pothier. I giggled for a long time. I like to make fun of spammers as is evident by my posts Spam Mail, Spam Mail Part 2, and Spam Mail Part 3, but I do not actually engage with them in real life, just inside my head. Glad you liked my little post! On a related note, I actually used to work in a patent law firm, and a research company we did work with sent out a calendar every year that featured some of the weirdest patents ever granted. The Victorians in particular were pretty spectacular in their insane ingenuity, you just have to love them.